There are currently three different payment methods available to you; PayPal, Payoneer, and SWIFT. If you choose Payoneer as your payment method, you will need to apply for a Payoneer account via your Envato author dashboard. 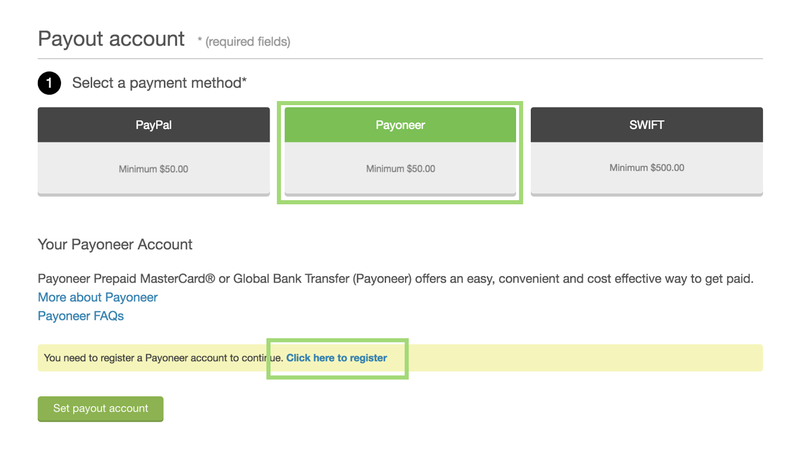 This will ensure that the Payoneer account is automatically linked to your Envato Market account. The steps outlined below will help guide you through the Payoneer registration process. 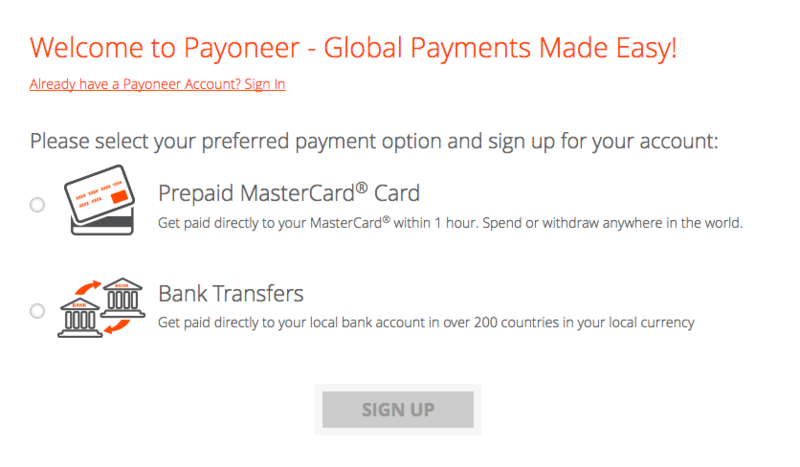 If you'd like to learn more about Payoneer before registering, you can view FAQs here. It may take a few days for Payoneer to review your application, so make sure you leave enough time for the approval process. Login to your Envato Market account and hover over your username in the top right corner. Select Payouts from the dropdown menu. Click on Change account if you want Payoneer to be your payout account. Select Payoneer as the payment method and select Click here to register. You will then be taken to the Payoneer sign up page. From the sign-up page, select your preferred payment option, a Payoneer Prepaid Mastercard Card or Bank Transfers, and click SIGN UP. Once you have completed your registration, Payoneer will review your application and send you a confirmation email with further details. You can check the status of your account by logging into your Payoneer account. If you are having trouble signing up for Payoneer, please visit their Support Center or contact their support team for assistance.